His Journey so far has been a remarkable one. 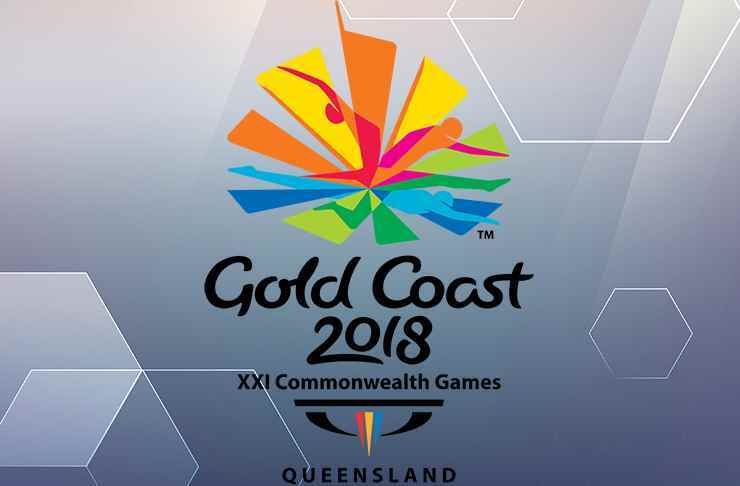 Indian players have been consistently winning medals in the Commonwealth and Asian Games but in a certain sense, Indian table tennis has been stagnant for a while. India is yet to benchmark itself as a TT powerhouse. 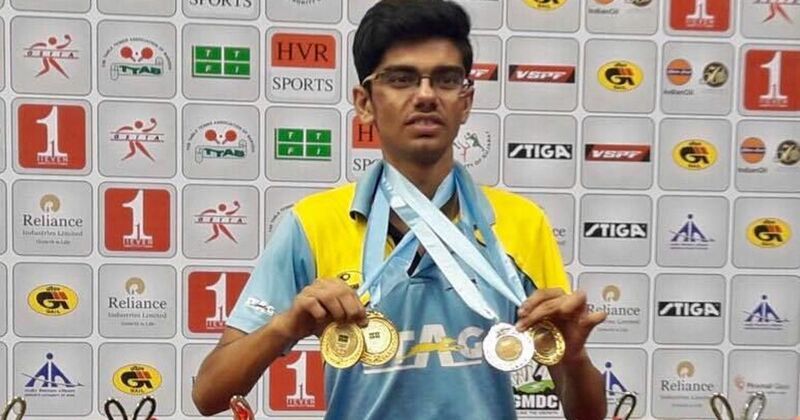 And Manav Thakkar who created history by becoming the first Indian to be crowned World No 1 in the sport in the under-18 category, brings a great hope. Manav Thakkar was on born on 15th June 1999 into a family of physicians. As they had a table at home, Manav grew up watching his parents playing table tennis and started liking the sport at an early age. Thakkar began playing the sport when he was five after watching his parents play at home. “I was shorter than the table but still managed to return the ball three four times,” remembers Manav. At the age of six, his parents decided to encourage him towards table tennis given his flair for the sport. He was initially guided by his childhood coach Vahed Malubhaiat Sufaiz TT Academy in Surat. Manav began to show his talent at an early stage and impressed everyone by bagging a triple crown in the state meet (cadet, sub-junior and junior) in Surat way back in 2010. The turning point came in 2011 when the Table Tennis Federation of India (TTFI) held trials to pick youngsters for the PSPB academy in Ajmer. Manav was selected for training under Chinese coach Liu Zhang Feng. After battling homesickness for almost three months, Manav Thakkar finally found his stride and starting winning under-12 and under-14 events. Since the beginning of his U-12 career Manav has been constantly winning championships wherever he plays. Won the U-12 national champion in 2011. Won Silver medal in the 2014 Polish Open. Won the Gold medal in the 2016 India Open. WON singles gold at 2017 Slovenia Junior and Cadet Open. Won silver in the ITTF World Junior Circuit Finals 2018 in Luxembourg. 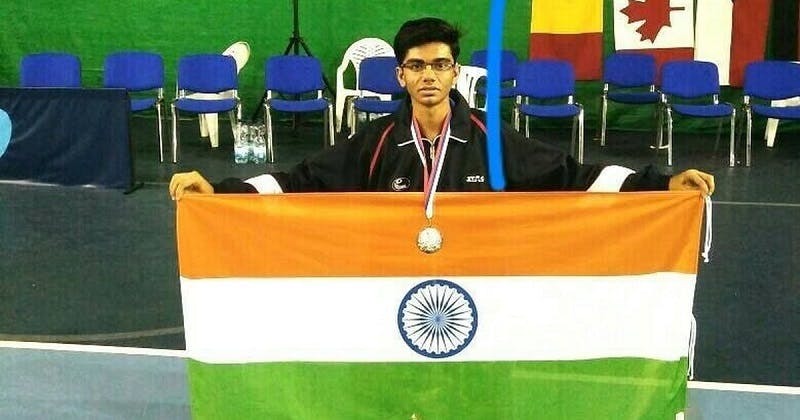 2018 Manav Thakkar first Indian to top U18 world table tennis rankings. 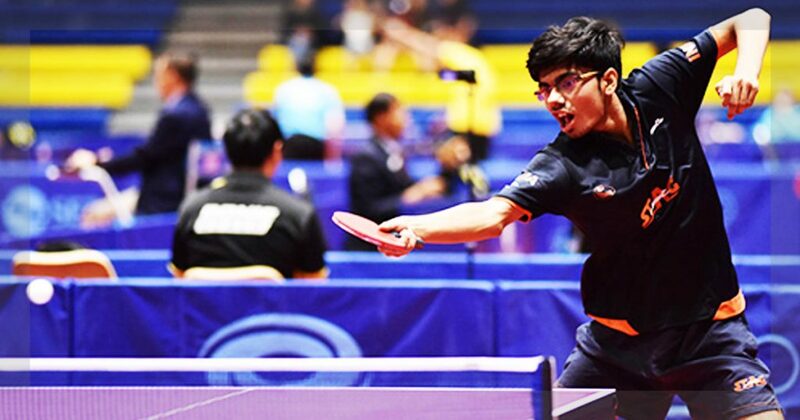 Manav becomes the first Indian to occupy the top spot in the ITTF World Junior Circuit standings. 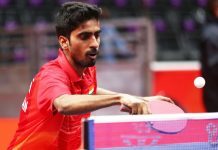 In 2017 after his quarter-final loss at the ITTF World Junior finals where he finished fifth, Manav realized that his fitness wasn’t great and he gets tired easily. “My stamina wasn’t at par with other athletes.” said Manav in an interview with a sport journalist after losing in 2017 ITTF World Junior event. “I used to get pressurized in international or big tournaments because of the lack of experience. Plus the conditions were also different. Whenever the opponent used to get a lead, I used to mentally feel that I will lose the match. I always used to depend on my start, play aggressively and that led to errors,” said Thakkar. It was then that he decided to focus on fitness and train as vigorously as possible. Thakkar began working on his weakness and fitness with Indian team coach Massimo Costantini. “With Costantini coming in as coach, my entire game changed. I started working on my fitness and agility. I began running and steadily improved my stamina,” said Thakkar. His fitness exercises included 35 to 40 minutes of long distance running, followed by rounds of frog jump and duck walk exercises. The start of the entire fitness regime would begin with by skipping a minimum of 500 times. To get the mental aspect of the game right, Thakkar started working with a sports psychologist. “The psychologist helped me to take it game by game and we started setting small goals, which improved my mental strength. This helped against Chinese and Japanese opponents,” said Thakkar. 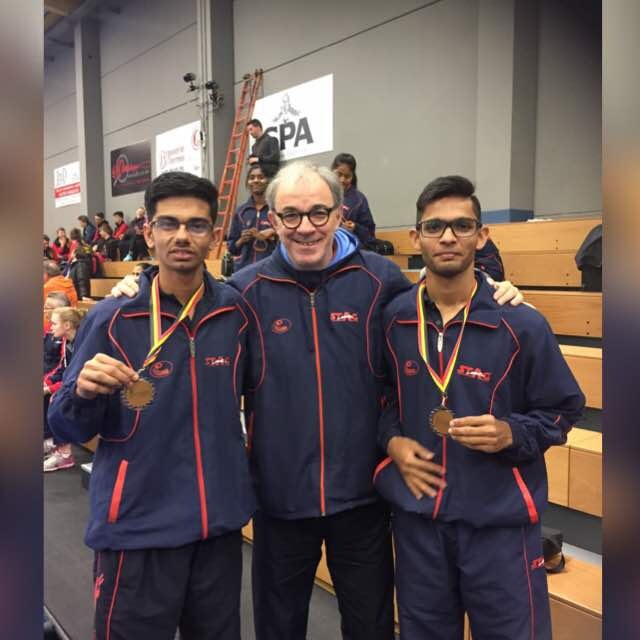 A year later in 2018, a bronze medal in the senior nationals, silver in the ITTF World Junior Circuit 2018 and World no 1 in U18 world table tennis rankings….Rigorous training paid off. In April this year, he qualified for the 2018 Youth Olympics to be held in October at Buenos Aires, Argentina. “I want to end my junior career by winning gold at the Youth Olympic Games. It would be the perfect end because next year on I will only play in the senior circuit and youth category,” said Manav. Journey ahead: Will Manav become Senior World No 1? Manav Thakkar now wants improve his game further so that he can rise in the senior men’s world ranking. However, that is no easy feat to achieve. “The progress he made has been exceptional. He has created history by becoming World No 1, a feat no Indian has ever achieved across the board. His strength is his consistency and focus. It is difficult to beat him because of his consistency plus his service and receiving game has also improved. Now he has to work on his physical fitness and power hitting,” said 8-time former India national champion Kamlesh Mehta. With Chinese and Japanese players dominating the world rankings, the road ahead for Manav is a tough. ‘The Challenge now is to get better. He will have to get out of India and play with different players across the globe. Plus his physical fitness also has to improve.” said World no 60 Harmeet Desai. “In Japan and China, players work on their fitness when they turn 16 for almost four years and hence they dominate the spot despite being 21 or 22 years old. However, tactically he is on the right path plus his variations also are tough to crack. If he improves his fitness, he can be World No 1 as well in the senior circuit.” said Desai. Thakkar has already set his sight on the senior circuit and recently played two pro-tour events in Thailand and Hong Kong. He was the only Indian to reach the round-of-16 in his first senior event in Bangkok with the likes of Sathiyan Gnanasekaran, Harmeet Desai and Sanil Shetty losing in the earlier rounds. In Hong Kong Open, however, he lost in the final qualifying round to Japan’s Yoshimura Kazuhiro. Manav is a big MS Dhoni fan. 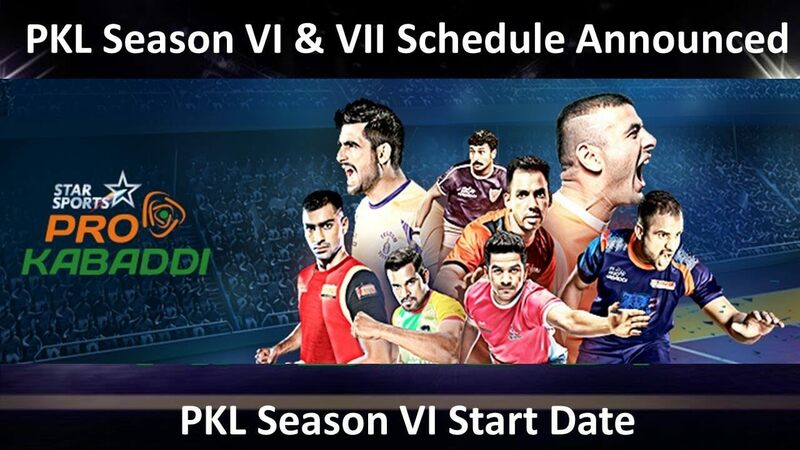 Pro Kabaddi League Season VI and VII dates are out! !